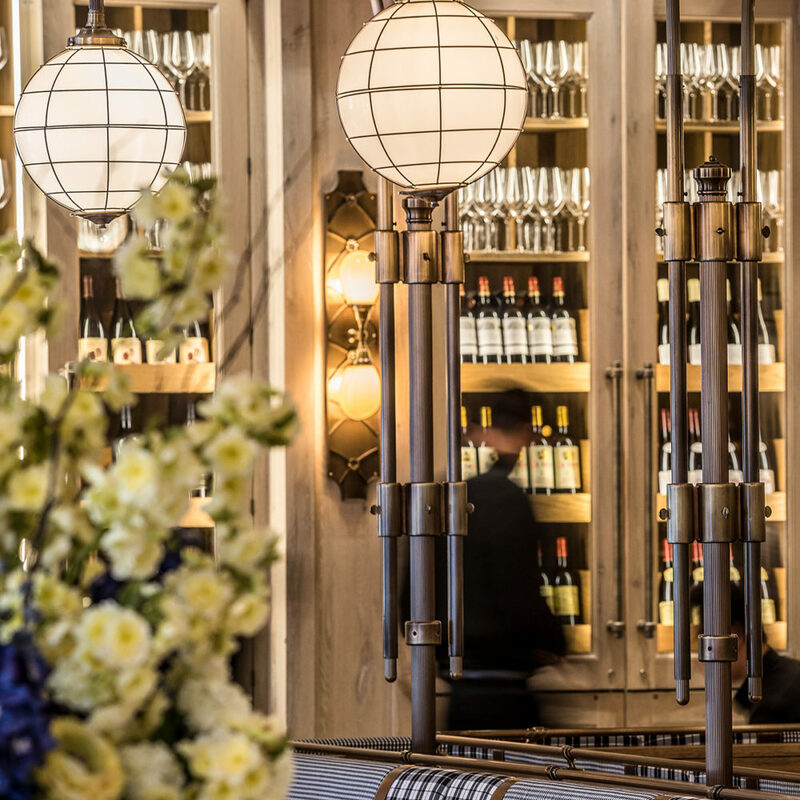 Located in Toronto’s historic Distillery District, within the heritage site of the Gooderham Building, Cluny embodies the quintessential French bistro experience in a warm and welcoming environment. With a creative and modern design approach, Studio Munge transformed one of the Distillery’s old “Tank Houses” into an engaging visual feast while paying homage to past traditions. 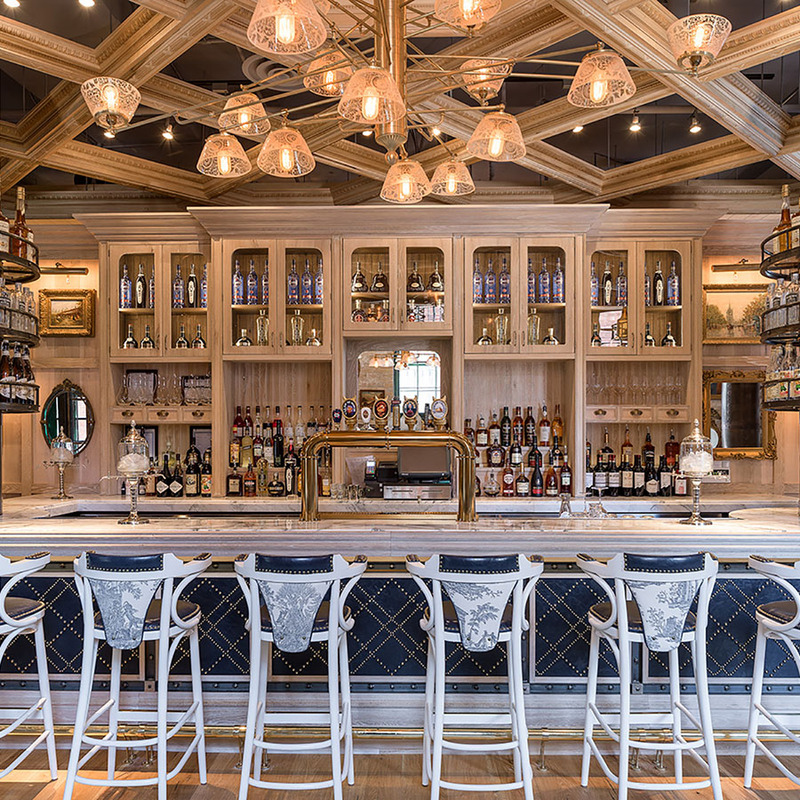 With an interior footprint spanning nearly 12,000 square feet, Cluny features an on-site Patisserie and Café, Bar Lounge, Oyster Bar, Central Dining Room and Private Event Space, in addition to three separate patios amassing 5,000 square feet of outdoor dining space. Inspired by the ornately appointed dining rooms of Paris, the design blends authentic bistro style with an industrial edge. 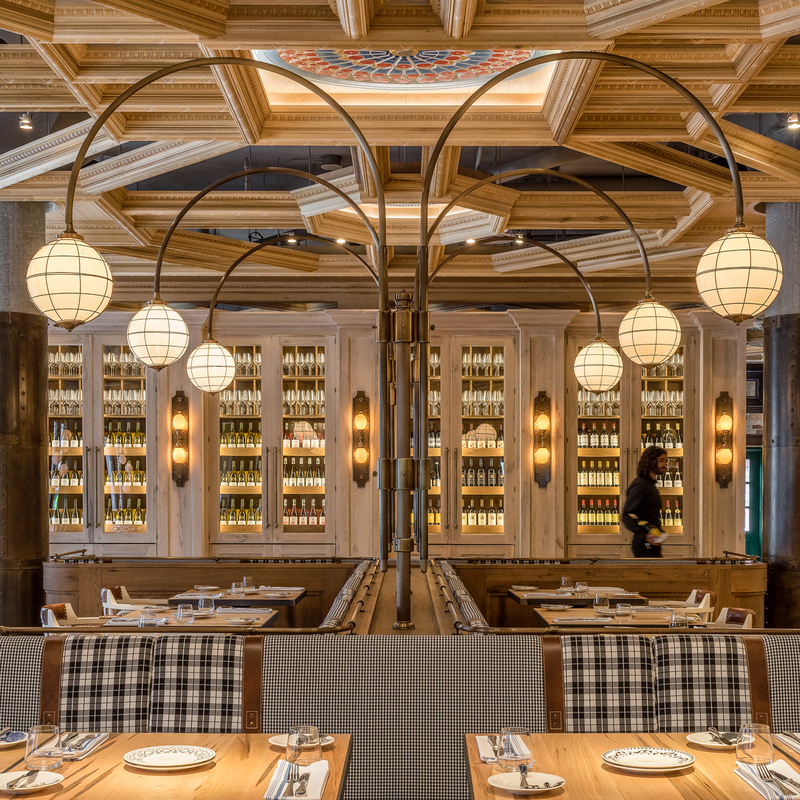 The restaurant’s enduring qualities are conveyed through the use of lasting natural materials and intricate detailing, including an expansive, raw wood, open coffered ceiling, raw metal detailing and an extensive FF&E Program that saw the custom design of dozens of intricate bespoke furnishings and custom millwork. 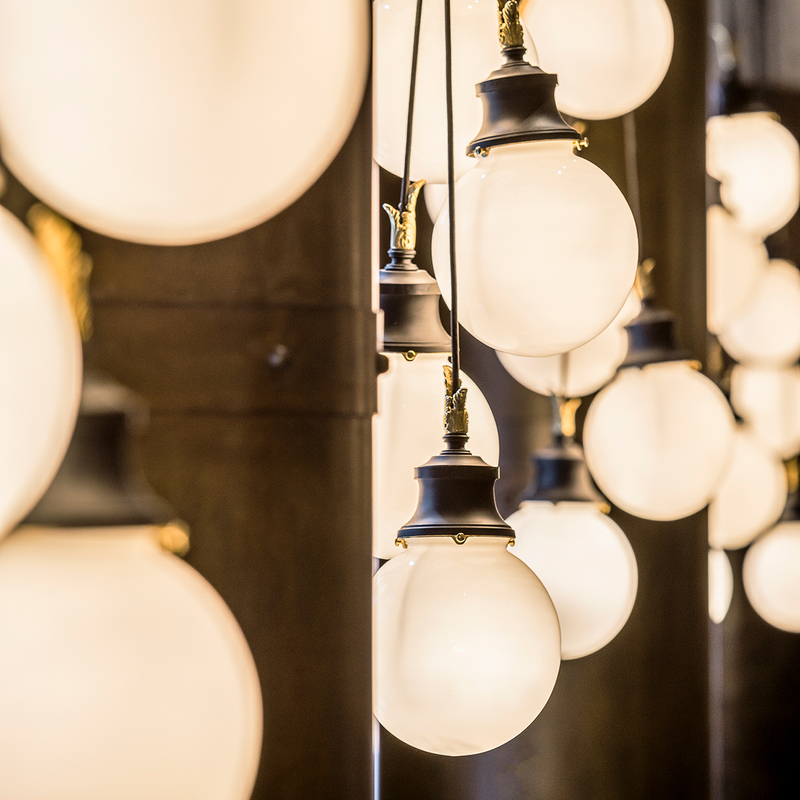 Working alongside Heritage Toronto, the design team complemented the historical nature of the Gooderham Building by applying authentic materials accented by contemporary finishes giving Cluny its modern feel while preserving its unique character. 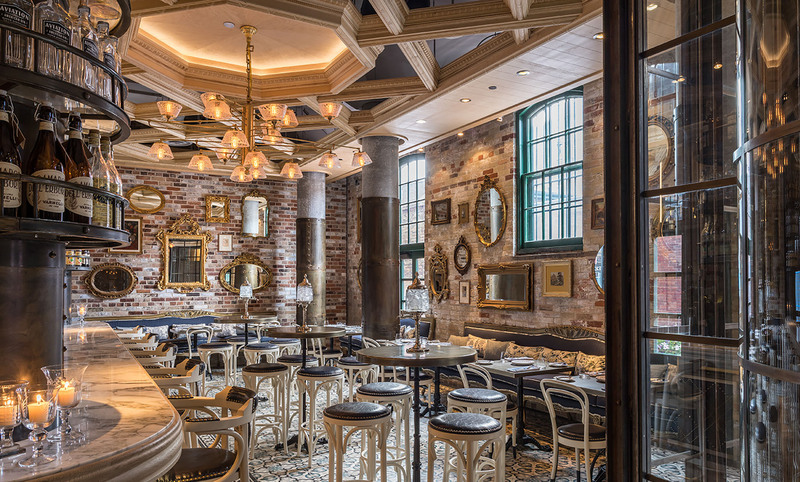 "The latest addition to Toronto’s historic Distillery District is Cluny, a sprawling neo-Parisian bistro that fearlessly mixes eras, patterns, and materials into a surprisingly cohesive aesthetic." "Cluny is a modern French restaurant brimming with all the hallmarks of a classic Parisian bistro and a whole lot of joie de vivre. The interior is a spectacular interpretation of traditional design offset by modern elements."